Well, it was a whirlwind few weeks and I just wanted to give a huge, shouty (but in a nice way), exuberant THANK YOU to everyone that voted for Teeny Pies in the FedEx Small Business Competition. I am so entirely grateful for the lovely show of support and can only hope that my eye-roll-worthy daily reminders weren’t too overwhelming. I won’t find out if I made the top 100 until the 20th, so keep yer fingers crossed. Regardless, you all rock and I won’t soon forget it. Thanks for the pie love. In other news, our first city trip is next week and we’re headed to Pittsburgh! I’m super excited and it promises to be a pretty excellent trip. I’m especially pleased that we were able to find a dog friendly air b and b which means Ladybird gets to come along and offer her pup-opinions about our potential new city. We’re focusing on the Lawrenceville, East Liberty, and maybe Friendship/Garfield neighborhoods for where we would be looking to live. We’ll also check out the Strip District and Shadyside, but I’ve been told that those neighborhoods are already fairly pricey. We’re going to search out great coffee and as much spicy thai food as we can stomach in seven days as both of those things are basically no-existent in our current Kentucky-living lives. There are countless breweries to check out, sour beer flights to sip, pup-friendly tap rooms to support, and dog parks to discover. I’m also very interested in checking out the small business side of things and have set up a meeting through the local SBA and SCORE office to talk about what the Pittsburgh scene looks like and what businessy opportunities I could take advantage of if we decided to make our home there. As this is my very first trip to Pittsburgh, I’m relying fairly heavily on the recommendations of friends and the internets SO if you have any got-to-go-hot-spot suggestions please, PLEASE let me know in the comments section! 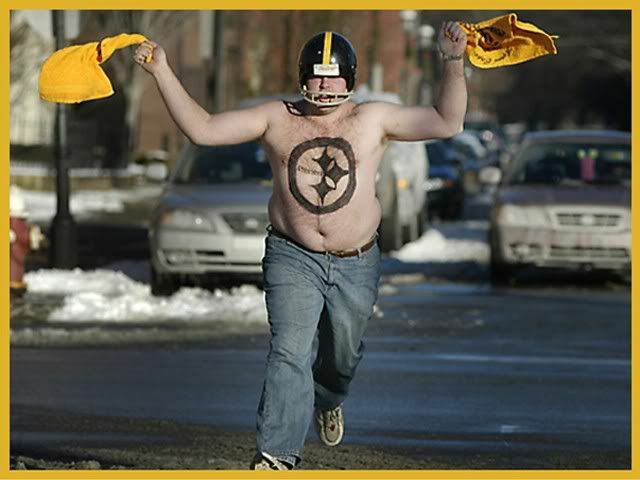 I’ll also be accepting any and all advice on how to reconcile my heart to the thought of having to interact with Steelers fans on the regular … yikes! Stay tuned, it’s going to be a wonderful week!